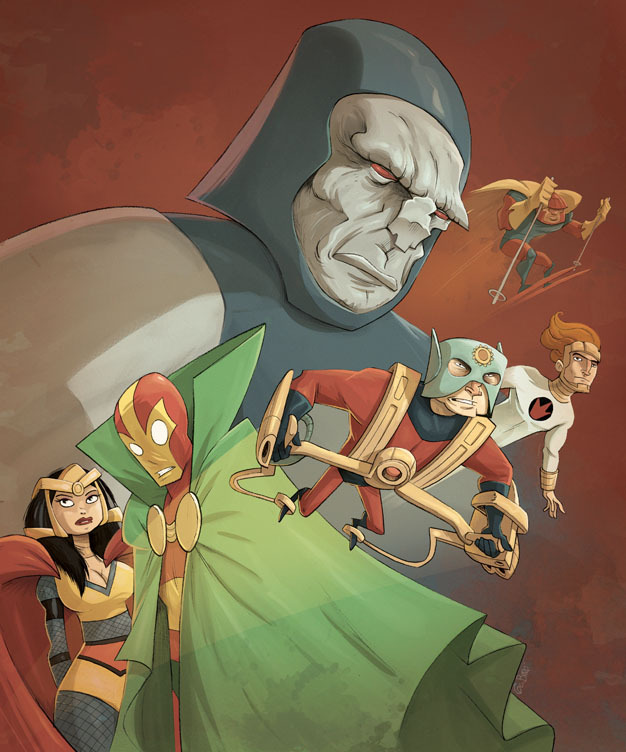 Posted December 16, 2010 in Big Barda, black Racer, Darkseid, Gerardo Baró, Lightray, Mister Miracle, Orion. New Gods courtesy of Argentinian artist Gerardo Baró. Garardo is a prolific artist of children’s books and magazines and is currently hard at work on a infantile novel graphical with the renowned writer Luciano Saracino. He is also the creator of the web comic The work and death of Adam O. Verde and still finds time in his schedule to contribute to the collaborative art blog Vivo con mi Madre (best described as a Argentinian Comic-Twart). For more of Gerardo’s work check out his blog and DeviantArt page.